As an Advanced Crew Leader out of the Baltimore Operations & Training Facility, Brenda Hunt has seen a lot. She is passionate about education for the field employees and for providing quality work for our clients. 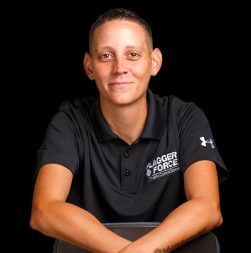 Flagger Force sat down with Brenda to talk about her experience and advice for newly hired Crew Members. 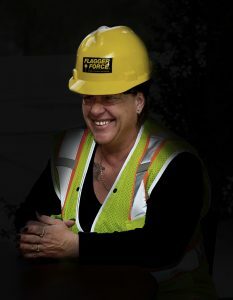 Flagger Force: Thank you for sitting down with us, Brenda. How long have you been with Flagger Force? Brenda: Four years this April, and I have enjoyed every minute of it. I have met some great people who I have seen grow within the company from a Crew Member to a Field Supervisor. Many of those people have become like family to me, and I wouldn’t change it for the world. 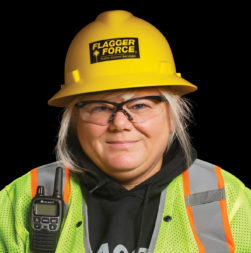 Flagger Force: Is that one of your favorite things about working for Flagger Force? Brenda: Of course. To be able to work for a company that has people who have helped me succeed, and now being able to return the favor, is rewarding. I was able to learn from a lot of great people when I was first hired. They taught me the right way to do things, so today, when a newly hired Crew Member is on my crew, I like to take them under my wing and help them learn. Flagger Force: What are some of your methods for teaching Crew Members? Brenda: What is most effective is to have the Crew Member sit in the truck with me as we drive through the work zone. We can talk through step-by-step how to set up a work zone, why signs are placed in certain places, etc. After the eight-hour ATSSA training class, taking a hands-on approach to teaching our new employees provides safe, quality work zones for our clients. Flagger Force: What advice do you try to give the Crew Members while you are working with them? Brenda: I am not going to sugarcoat the facts of working here. There are long days and long nights, but I always tell everyone to take pride in what they do. My best piece of advice is to shake the client’s hand and introduce yourself. That goes a long way. Also, I always tell them to take what we do seriously. This is a dangerous job, especially with distracted motorists. The more alert you are of your surroundings, the more likely it is you and the client can go home safe every day, which is our primary job. Flagger Force: Are you excited about the Mentor Program that Flagger Force has introduced? Brenda: Yes, I am very excited. I am also excited about the quality initiative being introduced. Having more eyes out on the road should help — providing guidance and feedback to us to make everyone at Flagger Force better at what we do. Flagger Force: Do you have any hobbies you enjoy when you are not working in the field? Brenda: I love spending time with my grandchildren. Actually, I now have a little grandson, born just the other day! I love spending time with them and seeing them. When they are sick, they ask for me. I enjoy every minute I have with them.